The best healthcare providers and medical institutions know that keeping their patients and visitors happy and satisfied not only benefits the organisation but can help improve patient outcomes. There is more to best-practise healthcare than simply using high tech medical IT devices. Micromax Health’s patient and visitor engagement solution, My Say Survey, offers the medical industry a way to monitor and understand the satisfaction levels of their patients, visitors and even staff. This data then enables the management team and healthcare providers to review and potentially adapt their services, approaches and techniques to align with the patient’s needs, boosting satisfaction levels. This innovative solution has extended application throughout the medical sector, including Public and Private Hospitals, Private Surgeries, Super Clinics, Allied Health, Home Health Care, and much more – any setting where you need to know what your patients are thinking.  Many government health departments across Australia and the world encourage the use of surveys to improve patient care and hospital or organisations processes. Often an online survey is emailed randomly to patients and can take 15-20 minutes to complete. Yet this method significantly hinders response rates. 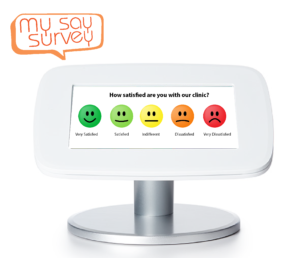 Our My Say Survey patient engagement solution for the medical and healthcare industry is installed and completed on-location and can be designed to answer as little or as many questions as needed. Patient surveys are important because they provide a unique perspective on the healthcare system and patients personal services that can only come from asking people about their personal experiences. Beyond patients, organisations can use the engagement tool for patient visitors and staff. Medical professionals can then review these results and are able to identify and report on the strengths and weaknesses of their services to the management team, individual departments or specific teams. This enables them to identify things they are doing well and also areas in which their services could be improved. If patient satisfaction levels are ignored, there is potential that patients are no longer willing to accept the detailed health care assistance from professionals. In some industries, up to 60% of customers say that they stop seeking services from organisations because of poor customer experience. This same effect could potentially develop in the medical industry, with unsatisfied patients turning elsewhere to care for their medical needs. Persistent dissatisfaction could also result in patients making a complaint to the National Health Practitioner Ombudsman and Privacy Commissioner or respective state or territory health care complaints commission. Instead, by being aware of your patient’s satisfaction levels you can take action to improve services or processes. My Say Survey collects data from the installed devices and then uses advanced algorithms and analytics systems to convert the raw data into valuable insights. It is then displayed it in an easy-to-understand online dashboard. This revolutionary approach gives patient and visitor satisfaction data real meaning. Are your opening times appropriate? Was the patient received well on arrival? Could waiting times be improved? Are there enough amenities to cater for the volume of patients? Are staff being assigned shifts at the right times? Are your patients satisfied with the level of care they are receiving? Are your patients satisfied with the cleanliness of premises or professionalism of staff? The knowledge that patients are satisfied is an invaluable motivational tool that gives healthcare staff the reassurance they need to continue to provide the best possible patient care experience. Further, understanding patient’s satisfaction levels will assist medical staff adapt their approach and practice. Survey results will also assist management teams to identify training needs of their staff members.